3600801 16B-7 HYUNDAI 16B-7 Electrical Forklift B series. Spare parts catalog. Service Manual. 3600802 18B-7 HYUNDAI 18B-7 Electrical Forklift B series. Spare parts catalog. Service Manual. 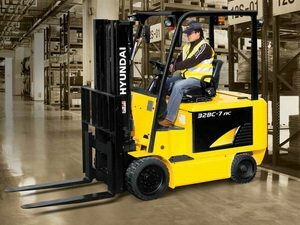 3600803 20B-7 HYUNDAI 20B-7 Electrical Forklift B series. Spare parts catalog. Service Manual. 3600804 22B-7 HYUNDAI 22B-7 Electrical Forklift B series. Spare parts catalog. Service Manual. 3600805 25B-7 HYUNDAI 25B-7 Electrical Forklift B series. Spare parts catalog. Service Manual. 3600806 30B-7 HYUNDAI 30B-7 Electrical Forklift B series. Spare parts catalog. Service Manual. 3600807 32B-7 HYUNDAI 32B-7 Electrical Forklift B series. Spare parts catalog. Service Manual. 3600808 35B-7 HYUNDAI 35B-7 Electrical Forklift B series. Spare parts catalog. Service Manual. 3600809 40B-7 HYUNDAI 40B-7 Electrical Forklift B series. Spare parts catalog. Service Manual. 3600810 45B-7 HYUNDAI 45B-7 Electrical Forklift B series. Spare parts catalog. Service Manual. 3600811 50B-7 HYUNDAI 50B-7 Electrical Forklift B series. Spare parts catalog. Service Manual. 3600812 16B-9 HYUNDAI 16B-9 Electrical Forklift B series. Spare parts catalog. Service Manual. 3600813 18B-9 HYUNDAI 18B-9 Electrical Forklift B series. Spare parts catalog. Service Manual. 3600814 20B-9 HYUNDAI 20B-9 Electrical Forklift B series. Spare parts catalog. Service Manual. 3600815 22B-9 HYUNDAI 22B-9 Electrical Forklift B series. Spare parts catalog. Service Manual. 3600816 25B-9 HYUNDAI 25B-9 Electrical Forklift B series. Spare parts catalog. Service Manual. 3600817 30B-9 HYUNDAI 30B-9 Electrical Forklift B series. Spare parts catalog. Service Manual. 3600818 32B-9 HYUNDAI 32B-9 Electrical Forklift B series. Spare parts catalog. Service Manual. 3600819 35B-9 HYUNDAI 35B-9 Electrical Forklift B series. Spare parts catalog. Service Manual.